Description: You want to create a new Application Pool for specific realms. Causes: Certain realms are being overloaded by being in the general .NET v4.5 Network Service pool. Resolution: Create new Application Pool and add that realm to this new pool. 2.Open up the Application Pools and go to the top right corner to "Add Application Pool"
3.Name the new pool and leave the rest of the default settings. 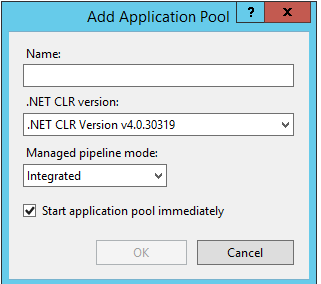 4.After the new Application Pool is created, right click that new pool and go to Advanced Settings. 5. 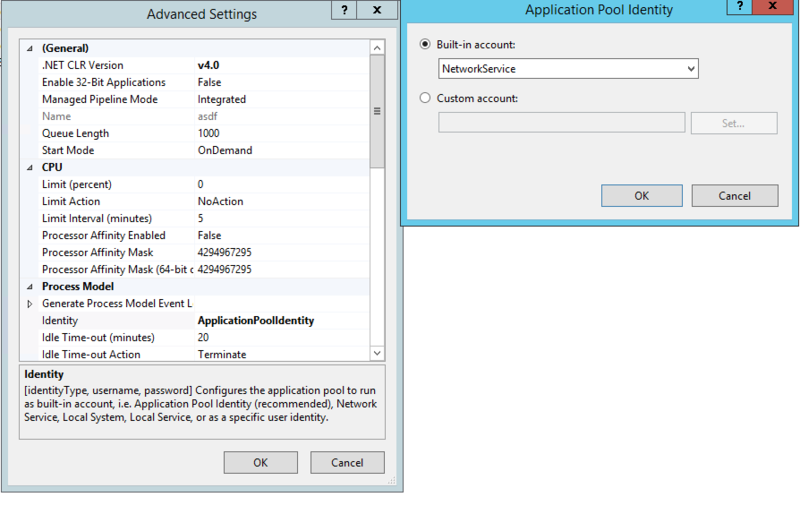 In the Advanced Settings, set the Identity of the Application Pool desired, which normally would be NetworkService. 6. On the Default Web Site dropdown, right click the desired realm you want to assign the new Application Pool and go to "Manage Application--->Advanced Settings". 7. 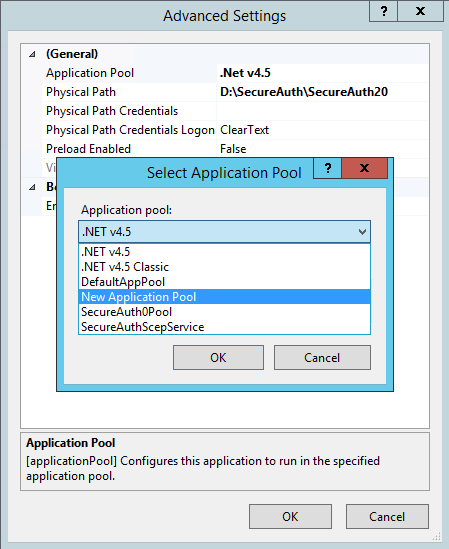 If you click on the "Application Pool" you can move that realm to the desired Application Pool, which in this case would be the newly created Application Pool.